Let’s start off with a bit of my own experience in the Tourism Industry. Born in Paris near Montmartre, I grew up on the left bank of the city in St Germain where I graduated from high school. I decided to study in the Travel University in San Diego in 1997 and 1998 before specialising in the Tourism Industry for two more years in Montpellier, south of France. 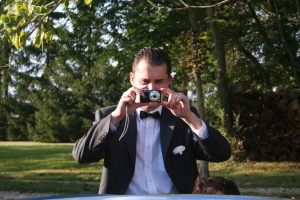 After my diploma in Tourism, I started to work in Paris for a substantial tour company before working as a freelence guide in Paris and the French Riviera (Cannes, Nice and Monaco). I then graduated from the French Wine University of Suze-la-Rousse in South of France in 2010 and worked as a sommelier in Paris, before specialising in leading wine tours around France. I’ve always been drawn towards the United States where I started to travel to from a very young age. I’ve always been fascinated by the many connections between our two countries. This passion and interest inspired me to create a touring company that celebrates this strong link. This website is designed for all Americans who want to explore the rich landscape of Paris in a unique and exciting way. 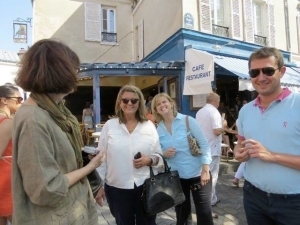 Our tours are designed to share the lively French culture in a fun, relaxing and educative atmosphere. Fun and relaxing, because you only have three weeks vacation a year (I am not going to tell you how many months of vacation the French people have!) and educative, because our country has so much to offer with its incredibly rich history, beautiful countryside and its vibrant array of traditions and cultures. Regarding my own personal role in the company, I am on the front line on purpose to guarantee the smooth running of the tour, but most importantly because I love guiding people. The main priorities in my company are the provision of exemplary service and the establishment of sincere human contact with people, which is why our tours are so different. The first characteristic of our guides is their adaptablility and flexibility. Our tours are never the same, because people who book our tours are regarded as individuals, so our first goal is always to customise your tour based on your wishes. You are not just buying an excursion somewhere, but rather a full French experience, where the guide makes all the difference. 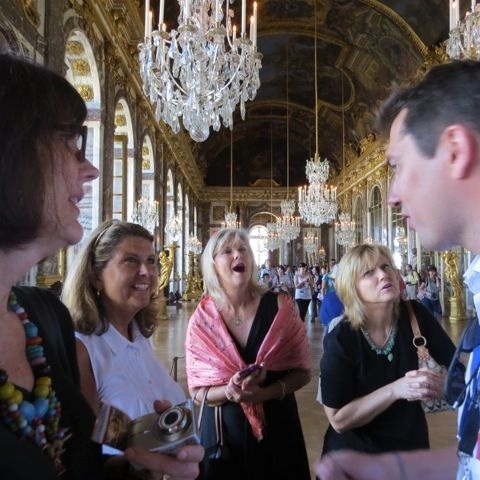 We always endeavour to be creative and we are proud to be the first ones to create and shape tours that explore and highlight the connections between France and the USA. 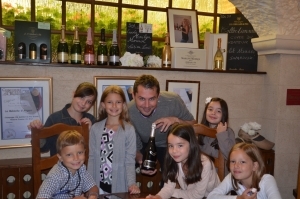 We also provide a broad range of thematic tours, such as tours for history or nature lovers, tours that cater for family groups, and of course, tours that appeal to Champagne enthusiasts! We try to offer innovative tours that follow your wishes, but that also take into account current world changes; therefore, we always update and refine our tour programmes to make them precise and to include the best itinerary. 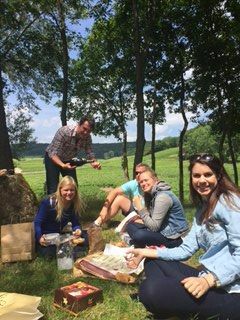 We also encourage you to be involved in the process, especially during our wine and food tours ! It is of paramount importance to me to keep my business as a human-scale company, so it allows us to work with the best and most exclusive suppliers, and to maintain full control of our activities. My business is largely facilited by word of mouth, which ensures that you will experience the best that France has to offer. Your every request will always be answered with a personalised response, tailor made to suit you. My team of guides is a genuine team of professionals, who are all licenced guides, so able to guide you inside museums. We only operate private tours in deluxe minivans with pick-up and drop off to and from your hotel. Before starting the tour, we love taking a few minutes to discuss the tour itself with you, so that we can better understand your expectations and make the best choices for the day, all personalised towards your interests and desires. I cannot finish this short presentation without thanking all the fantastic people I have guided throughout these last few years. Guiding people is also about learning from them. Talking to all of you over these years makes me realise how much I love my job as a guide and how privileged I feel to share my culture and country with such wonderful people.